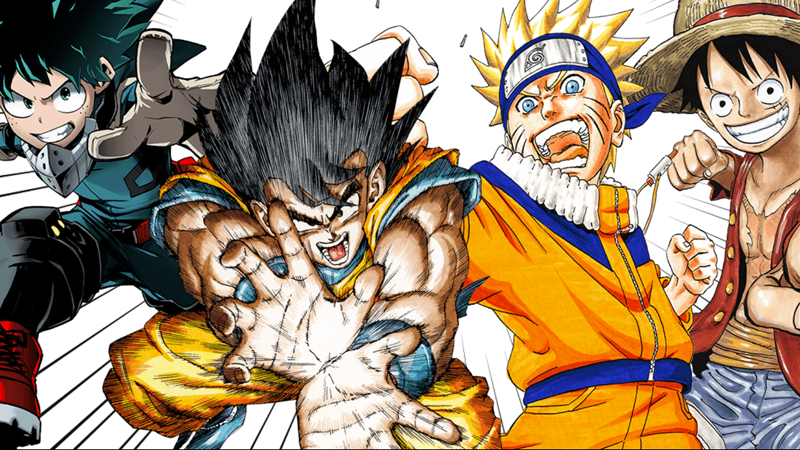 Deku, Goku, Naruto, and Luffy’s adventures are becoming easier to read digitally than ever. Shueisha is home to some of the biggest manga on the planet—from Dragon Ball, to My Hero Academia, to One Piece, and many more. And now, the company is making it easier than ever to read official translations of its most beloved titles across the world, in one of the most interesting moves digital comics publishing has seen in a while. Late last year, the U.S. edition of Weekly Shonen Jump—Shueisha’s premiere anthology for its shonen manga titles—announced a complete overhaul into a digital subscription service, offering the latest chapters of its biggest series for free on a weekly basis, translated into English for a simultaneous release with WSJ in Japan, as well as access to over 10,000 chapters of manga archives if you signed up for a $2-a-month subscription. But if you were outside of the select countries the new WSJ service was available in (it only covered the U.S., Canada, UK, Ireland, New Zealand, Australia, South Africa, the Philippines, Singapore, and India), you were out of luck on what was is one of the best deals in digital comics going right now. But the good news is Shueisha at large is now launching another worldwide app as part of an ongoing push towards making its manga more accessible and countering the rise of pirated manga chapters. Like the digital Shonen Jump service, Manga Plus is offering simultaneous release on all of its currently ongiong series. As Anime News Network reports, Manga Plus—launching today as an Android/iOS app (and, unlike WSJ, as a browser version too) everywhere outside of Japan, China, and Korea—will offer readers a similar set up to the digital Shonen Jump service, just without the subscription service. 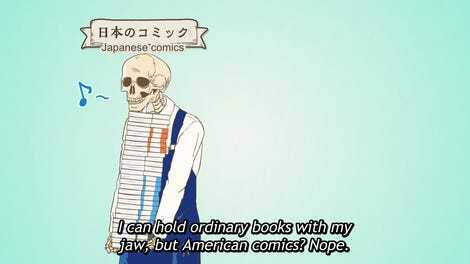 There are currently over 30 titles from across Shueisha’s roster of manga—not just series specifically published in Shonen Jump—where fans can read both the latest translated chapters for free and the first chapters of available series, and purchase digital collections of prior chapters. On top of that, 13 completed series, including the likes of Naruto, Bleach, and Jojo’s Bizarre Adventure, are also being serialized for the service. It’ll be ad-supported, but an unrevealed portion of the revenue from ads will go directly to the creative teams behind the available manga. While Manga Plus might initially seem like a slightly more limited version of the digital Shonen Jump, it makes up for it in worldwide accessibility. Beyond offering more than just WSJ-specific titles, Manga Plus will also debut official English-language translations for a few titles previously only accessible to fans outside of Japan through legally-dubious fan-released “scanlations” (scans of manga pages that are then translated). On top of that, the service will add official Spanish translations in the next few months, before gauging fan feedback to see about offering translations in other languages. Between the new WSJ and Manga Plus, we’re beginning to see a push to make officially-licensed digital manga more easily accessible than it’s ever been—with more people across the world able to support creators directly and break into a realm of comics that, while already insanely popular the world over, can now reach out to more and more people. Comparing these efforts to, say, the rise of digital Western comics with offerings like Marvel Unlimited and DC Universe (which are considerably more expensive, but balance that with deeper back catalogues or, in Universe’s case, a bunch of other stuff) shows that it’s a small step in the right direction to making some of these beloved series available to a wider digital audience than ever before.